Everyone know how much I love Canada and for the longest time, I have wanted to showcase Canada on my blog. 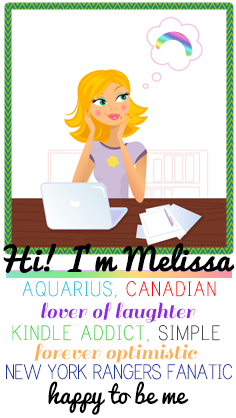 So, I've decided to ask Canadian bloggers to answer 5 questions about their province. 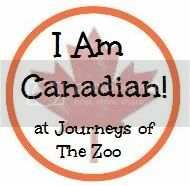 This week, Sarah, from Journeys of the Zoo, (aka my blog crush) is answering questions about Ontario. I grew up in Toronto, however, as of this year, I’ve spent more than half my life in Ottawa (with a three year hiatus in Chiapas Mexico). 2. Favourite thing about your province? Maple Syrup and our Lakes/Parks. We currently live on 15 acres, mostly forested and this year, our neighbour tapped a bunch of trees on our property. Nothing like eating pancakes with maple syrup from your own maple trees. 3. What is your region (province and/or city) known for? Ottawa is the capital of Canada so it’s known for it’s politics and heritage. Whenever we have a staycation, we enjoy the hospitality of any of the small B&B’s. If you want to be in the middle of the scene, eat at one of the many restaurants in the Market. If you want something a bit quieter and more formal, you’ll find tons of delis, coffee shops and restaurants on Wellington in Westboro. There’s something to do all year round here. In the winter there’s skiing in the Gatineaus, skating on the canal and Winterlude. In the summer there’s the local farmers stalls in the Market and Bluesfest, an annual summertime blues music festival. 5. A "must know" about your province? Algonquin Provincial Park is a must see. Paddle, kayak, swim, fish, experience the outdoors first hand. For those that don’t like the outdoors, enjoy four star restaurants and spas. My family spends time there every year and has since the 1950’s. Thanks Sarah for taking the time to answer these questions!! For more information on Ontario, please visit Tourism Ontario. Thank you so much for inviting me to participate and letting me share a bit about Ontario. I hope that anyone interested in visiting the province and/or Ottawa region won't hesitate to contact me with any of their questions. This Canadian theme is a fabulous idea and I can't wait to discover tons of other jems! P.S. As for the blog crush, back at you. I have a blog crush on Sarah as well! :-) Great feature! It's nice getting to know more about bloggers and where they come from. I have been to Ottawa several times. I have been to the Parliament buildings, well worth seeing; I've been to MacKenzie King;s home, now a tourist stop and have seen the War Memorial . I love the green spaces and the well run buses and the restaurants on the Rideau bridge I agree with Journey of the Zoo and the host blogger that this is a wonderful city.